We’ll all buy dozens’ of jeans every year, but we throw it away in just 6 months as it’ll be uncomfortable to wear. It could be because of the Denim jeans quality, or there’s a chance we put on some weight. Whatever be the reason, it’s a waste of money for us. Here’s one more thing that grinds my gears [pun intended]. It’s about the pockets. Whenever we commute, we carry a wallet, smartphone, keys, and some other essentials. It’s always uncomfortable sitting or walking when all these things are inside our pockets. Also, the pockets look bulgy and emphasize the pickpocketers to target us. So, what can we do about it? 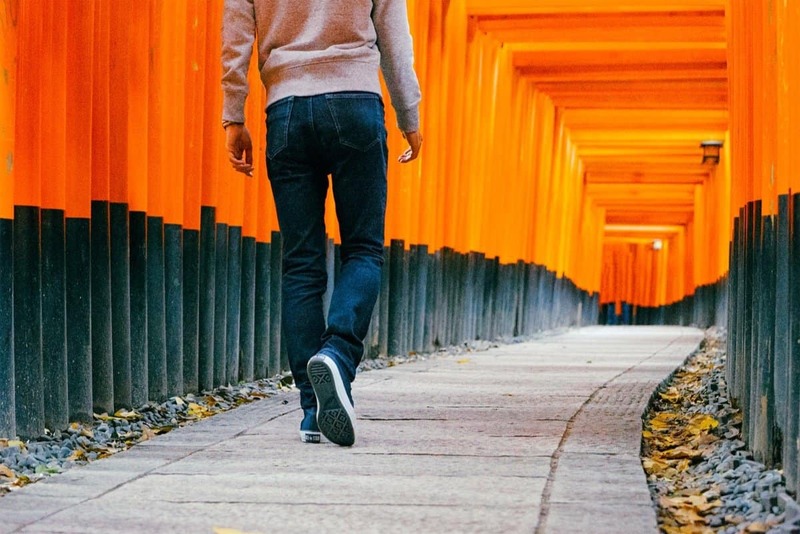 Well, not just us, even the top brands are not doing anything about it, but there’s a young startup from Japan, designed a concept called Flyte Denim, the world’s first minimalist traveler jeans with multi-functionalities. Flyte Denim is not just for the travelers as it also elevates the urban lifestyle of YOU. It’s ergonomically designed to match your style. The Jeans is sleek, minimalist, stretchable, and has high-quality Japanese craftsmanship. As said already, it’s a minimalist travel jeans that’s simple and carries the functionalities like securely holding your essentials like a smartphone, keys, passports, cards, wallet, etc. Though you keep these in your pocket, it doesn’t affect your movement or the appearance, thus solving the concept of bulgy pockets. The traditional coin pocket on our normal jeans is replaced with a dedicated card pocket where you can keep debit cards, credit cards, etc. There’s a slit pocket on the right back where you can keep your smartphone [fits iPhone X perfectly] or a passport. With all these features included, the Flyte Denim does maintain a clean minimalist look. Unlike other startups who usually outsource the manufacturing process to China, Yuki Ashida wanted to combine the Japanese tradition and the technologically advanced fabric, so the processing will happen in Japan itself. This helps the local skewers and the supported manufacturers who have been providing quality jeans for a long period. To make the concept a reality, Yuki is launching the campaign on the crowdfunding site Kickstarter. For now, the Flyte Denim is offered in dark indigo color for both men and women. You can pre-order it for a price of ¥10,800 [i.e., approximately $99] and as mentioned above, your support by backing the campaign will help the Japanese local manufacturers. So, What are you waiting for? Get in here and pre-order yourself a pair of Flyte Denim jeans!